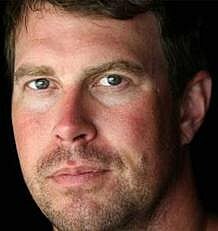 Ryan Leaf was arrested yesterday, (3/30/12), in Great Falls, Montana on burglary charges and drug possession. Leaf has played football for the Dallas Cowboys, San Diego Chargers and the Seattle Seahawks. This is not his first brush with the law, in 2008 he was accused of breaking into another player's home, during that investigation, authorities found he had close to 1,000 pain pills from different pharmacies. According to the Associated Press, Leaf was booked on felony charges of burglary of a residence and criminal possession of dangerous drugs. He is out now on $76,000 bond is due back in court on Monday. I am sure we will learn more in the days to come.